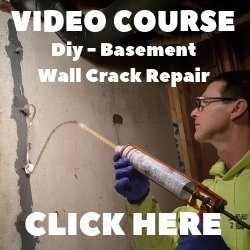 Concrete Vapor Barrier Thickness - How Thick Should A Vapor Barrier Be? Which concrete vapor barrier thickness is best at blocking moisture vapor transmission from coming up through a concrete floor or slab? 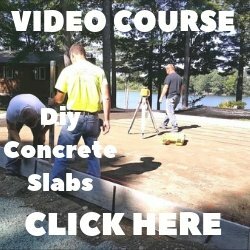 The correct thickness of concrete vapor barriers being placed under concrete slabs and floors has been debated for many years. It used to be 4 mil thick and 6 mil thick polyethelene sheeting was sufficient, but not anymore. The thickness and material these vapor barriers are made of are sub-standard to the newer, thicker, 10 mil and 15 mil vapor barriers. homogenous membrane with the same permeance and puncture resistance throughout the entire sheet. The older 4 and 6 mil thick poly vapor barriers are made of recycled materials and lower grade resins that will break down over time allowing moisture to pass through the slab. through the concrete floor, allowing for flooring materials to be successfully installed on top of the concrete. more puncture resistant, and a better all around product for the money. 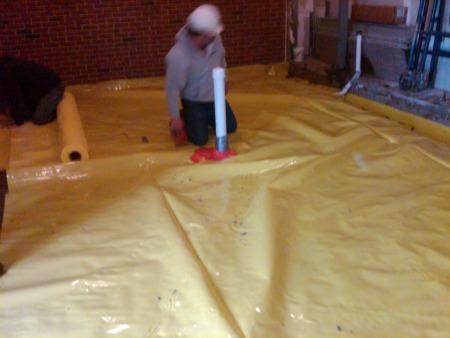 The concrete vapor barrier we use the most is Stego Wrap's 15 mil thick vapor barrier. It comes in a roll 14 feet by 140 feet. The 15 mil thickness of this vapor barrier won't easily tear, split, or puncture allowing us to go about our work without having to repair holes while we are pouring the concrete. The added 5 mil thickness over the 10 mil vapor barrier means if the vapor barrier is installed properly, virtually zero water vapor will penetrate the slab from the soil below.